With its unique diversity of natural life and wealth of cultural treasures, Andalusia has very many faces to show. Whether you're a nature lover or a culture vulture, a globe trotter or just looking to relax - the Guadalquivir River Cruise has something for you. Spain's fifth longest river is 657 km long and flows through Andalusia. It rises at Cañada de las Fuentes and discharges after its journey through southern Spain at Sanlúcar de Barrameda into the Gulf of Cádiz. The spring and autumn months are particularly recommended for a Guadalquivir River Cruise. 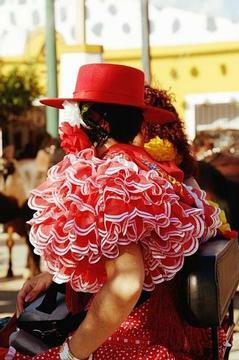 On the Guadalquivir River Cruise you can discover the capital city of Andalusia, Seville. Stroll through narrow, quaint alleyways or admire interesting buildings such as the cathedral of Maria de la Sede, one of the world's largest Gothic churches. The Giralda is considered to be the principal landmark of the city and should definitely be visited. The Alcázar with its majestic pillars and halls is also worthy of mention. The coastal city of Cádiz, the oldest city in Europe, is reached after a voyage through beautiful natural scenery consisting of lush palm gardens and nature parks. The mighty cathedral of Cádiz and the Roman theatre are both essential parts of any tour of the city. In contrast to this, the city's "green lung", the Parque Genovés, offers peace and tranquillity. On a Guadalquivir River Cruise you can also look forward to the idyllic little town of Sanlúcar de Barrameda, which offers a wealth of historic monuments. These include the 15th century castle of Santiago and the imposing church of OurLady. In Sanlúcar de Barrameda you will also find Manzanilla wine, for which the town is famous and which is produced here in the winemaking plants. The Doñana National Park, which is close by, fascinates with its particularly rich diversity of flora and fauna.